The day we have been waiting for is finally here! Today Carly gets her tummy put back together! Her surgery is scheduled for 4:30pm--but she's the last one of the day, so depending on how the day goes, it may get pushed back to tomorrow. We are ready. Carly is ready. We know she'll do great! Carly now weighs 6.1 pounds. All of the nurses that have cared for her all comment on how huge she looks compared to when they last saw her. As you can see from the picture above, she is totally off oxygen now and is breathing room air beautifully! Her hematocrit was low yesterday, so they gave her a blood transfusion last night so she'd be all prepped and ready for surgery today. In the "take down" surgery they will be removing her jejunostomy and connecting her remaining small intestine to her large intestine so she'll be able to finally start pooping out of her bottom like a big girl. 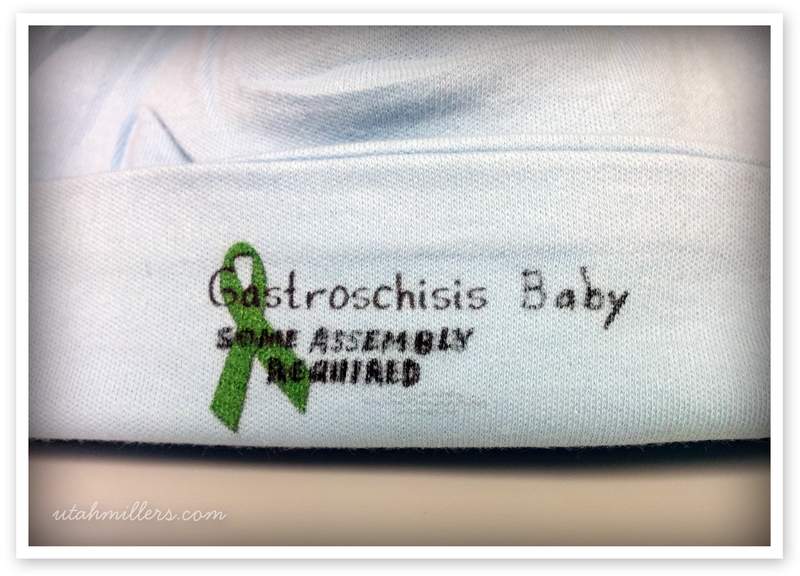 We came across this hat in the NICU that says "Gastroschisis Baby - Some Assembly Required" that I thought was the most adorable thing ever. Carly's little body has taken quite a bit of "assembly" but we have been so amazed at how well she has progressed and how wonderfully she is doing. Prayers most definitely are being answered. 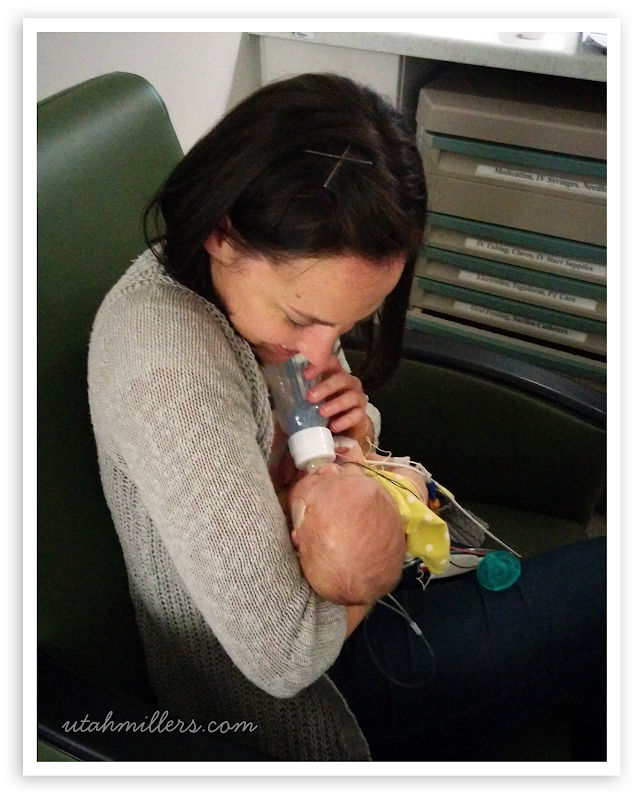 Carly has started to bottle feed and I've been able to feed her several times. 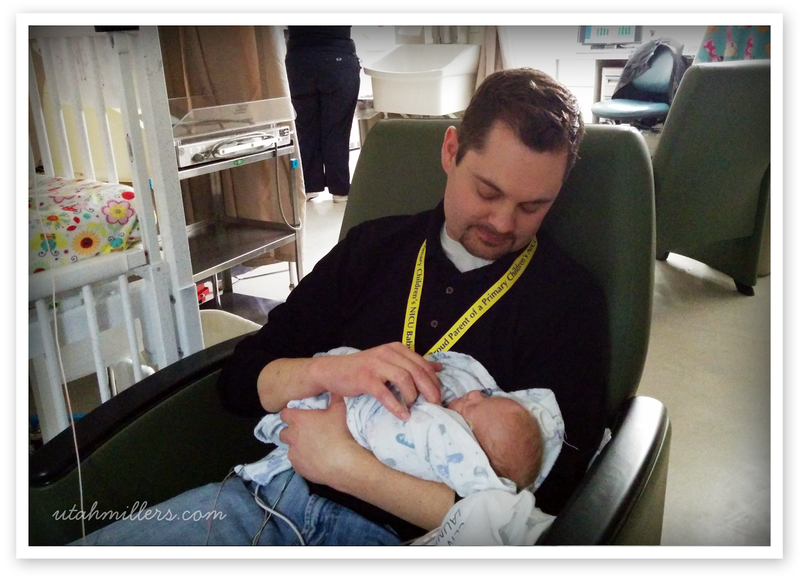 They only give her 5mL in the bottle, which is only about a teaspoon, but she is doing so great with it. 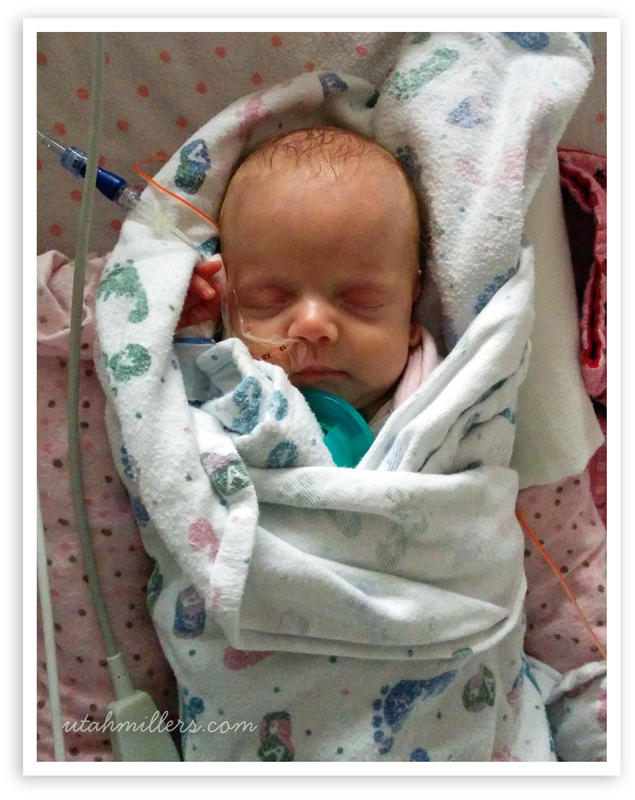 After her surgery, they won't feed her any breast milk for about a week to give her intestines a chance to heal, but then they'll start her feedings back up again. Mike and my dad gave Carly a beautiful blessing last night and we truly believe and have faith that Carly will be just fine. We know that our Father in Heaven has a very special plan for Carly. We feel it every time we hold her and look at her precious little face. We know that Heavenly Father has Carly's best interest and our family's best interest in mind and that she will heal and turn out exactly the way Heavenly needs her to be in order for her to fulfill the plan He has for her. We love her and appreciate your continued faith and prayers for her so much! "Always remember that your present situation is not your final destination. The best is yet to come."